Two-time All Star Jordan Zimmermann had become one of the biggest disappointments for the Tigers in recent years. In 2016, the team signed him to a $110-million contract. He pitched well at first, then got injured again and again, and frankly stunk. He pitched no better than a minor league player. But lately, since his return from the disabled list, he's been impressive. 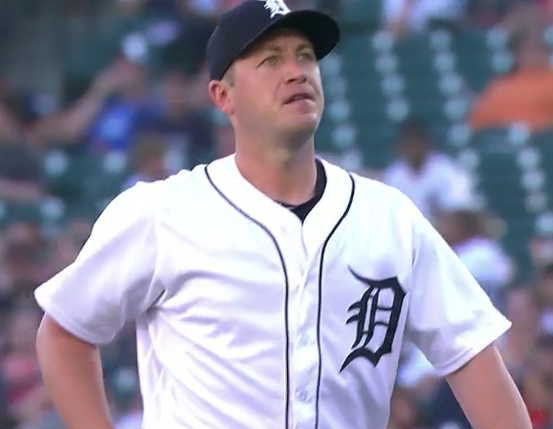 Jordan Zimmermann is healthy, pitching as well as he has in two years and he painted an absolute masterpiece Friday night at Comerica Park. "I don't think he ever left," manager Ron Gardenhire said after the Zimmermann struck out 11 and went eight strong innings in the Tigers' 3-1 win over the Rangers, a game that took just two hours and five minutes to play. "I think it's all about health and when he's healthy, he can do these things. If you saw him in Washington, you know he was one of the most dominant pitchers in baseball." Zimmermann gave up a home run to Shin-Soo Choo on his second pitch of the game — a 436-foot bomb into the shrubbery in center field. After that, nada. He allowed just three singles after the first inning. The 11 strikeouts are the most he's recorded in a game since donning the Olde English D, and the most since Sept 28, 2014. A futuristic looking building in Corktown.